I love, love, love my Bullet Journal. As a lifelong paper/journal/calendar/planner addict, I couldn’t find the perfect organization system that met my needs. Everything I had tried before was either too complicated to learn (GTD anyone? ), hard to set up, expensive, time-consuming or so open-ended that there wasn’t enough structure. I have also tried a number of online/digital apps, but don’t prefer those either. But the Bullet Journal is so much more than that! I won’t attempt to describe all that a Bullet Journal can be, but if you’re interested, definitely watch THE video at the official Bullet Journal website. 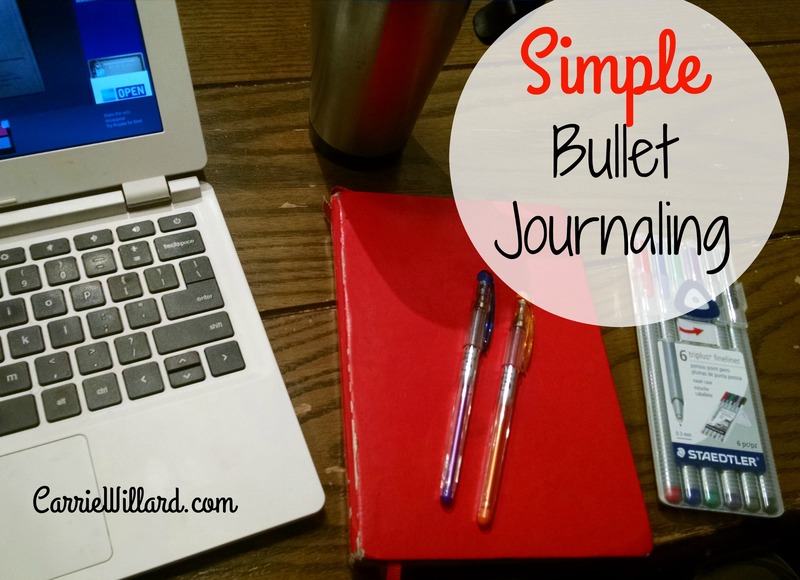 NOTE: A Bullet Journal can bring out the perfectionist in you if you’re not careful. I have plunged right in and don’t worry about whether I’m doing it “right”. My handwriting isn’t perfect, I don’t use signifiers and other “official” BuJo doodads, and that’s ok. It’s a system that’s supposed to make your life better, not shackle you or make you feel bad about your calligraphy skills. 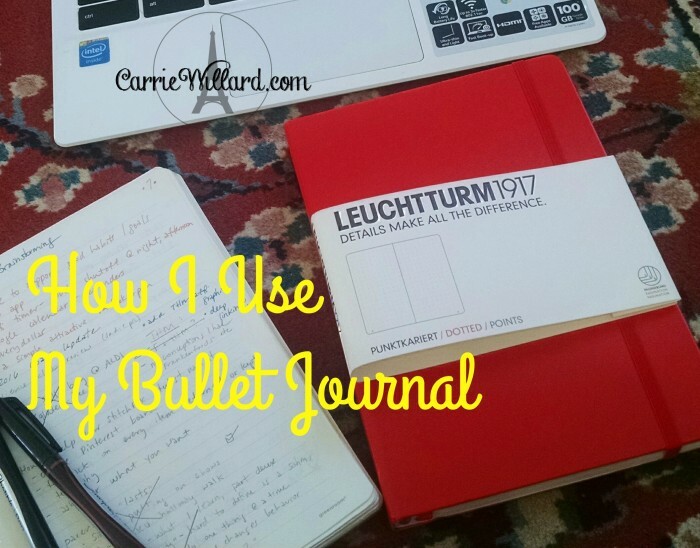 Here is how I use my Bullet Journal. I am definitely not an artist, I am inspired by beautiful BuJos I see online (and even have a Pinterest board for such), but I don’t let my lack of skill stop me. I simply use my neatest handwriting (cursive for headings, usually print for lists). My BuJo is never very far away from me as I consult it multiple times a day. The four “core modules” of the Bullet Journal are: The Index, Future Log, Monthly Log, and the Daily Log. These are things most BuJo lovers use, and then they add those that are unique to them. Index – this is what sets the BuJo apart from a simple notebook. The index tells you at a glance where everything IS in your journal. Brilliant. Daily Log – where my day’s to-do list goes. Future Log – a simple year-at-a-glance calendar. It’s a graph I drew in which I list the main events of the months ahead. And these are the modules that are unique to me. My Blogging Calendar – one blog I write has a weekly calendar of posts. This is where I keep that info so I can remember what I will be writing about next. List of Writing Ideas – where I brainstorm blog posts and draft them on paper. 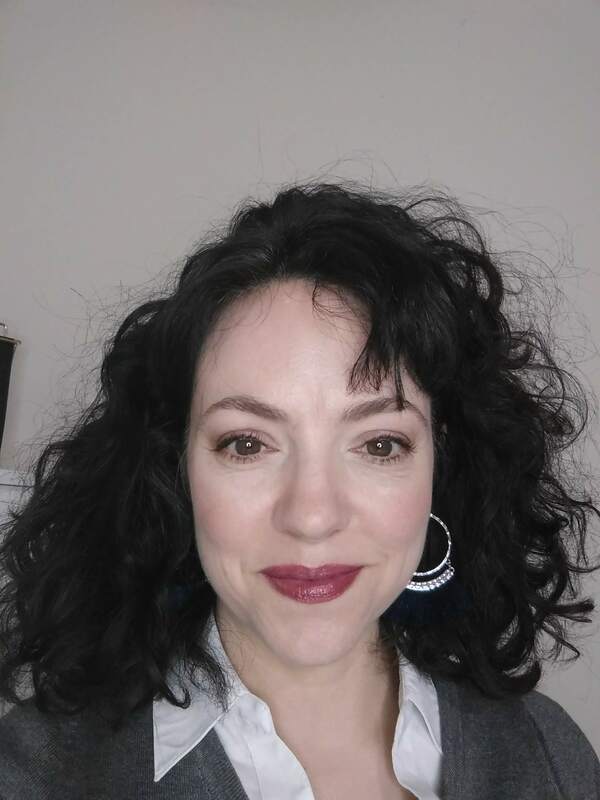 Wardrobe Needs – I’m terrible about buying for the next season. This list helps me remember not to get caught in winter without a coat, or summer without a swimsuit, etc. Films To See. I am terrible about forgetting movies I want to watch when I see previews or read about movies online, and when we’re in the mood to watch one, I can’t remember what to search for! No longer. Weight and Movement Tracker. Where I write down how I’m staying active each day and my current weight. Things I Want to Cook – ideas from Pinterest, cookbooks, etc. Current Scripture I’m Memorizing. One of my goals this year. Book Notes – quick points from books I read, to help me remember what I learned and so I can write my Quick List post each month. Caleb’s Grad Party – my oldest is graduating this year and we’re planning a shindig in May, so ideas and to-dos for that go here. Since I’m a beginner Francophone, I write my BuJo en francais most of the time to get an extra bit of practice. As I said, highly customizable! And it’s a work in progress. Anytime I need a new module, I add it (making sure I put it in the index first so I can find it later). Pictured above is my Leuchtturm1917 . For the first two months I used a cheap spiral-bound notebook I already had, but upgraded to the Leuchtturm as a gift to myself. It’s much higher quality (hardcover, my old BuJo was already falling apart from use) and has nifty features that other notebooks don’t, including built-in bookmarks, numbered pages and dotted grids. I wish I had begun with it, instead of having to migrate everything from the old (seen above, on left) to the new. But ah well. I wanted to make sure that Bullet Journaling was a habit that would stick first. I spend about 2 minutes in the morning creating my to-do list for the day, and I grab the journal whenever I need to remind myself of what’s going on that day/week/month, to write down appointments or to add to any of my lists. It isn’t complicated and is highly portable. And I am a paper person, bien sur. Do you BuJo? What do you love about it? Leuchtturm 1917 – the preferred notebook for bullet journaling. Pentel arts Slicci 0.25 ultra fine point pens – also in my purse! Don’t be a stranger! If you enjoyed this post, sign up for my weekly newsletter. You’ll get access to exclusive content including instant downloads of The How (and Wow!) of Habits printables. These will help you create the life you want with less time and effort. Daily journal writing is an excellent tool of self-expression and self-discovery for all. It is like the summary of your life story. En espérant continuer à lire votre avancement sur la route du BuJo. J’en ai moi-même commencé un récemment et suis actuellement en train de lire un maximum d’informations sur le sujet. Bonne journée. I work for a writing instrument company in Atlanta. I wanted to speak with you further about bullet journaling.